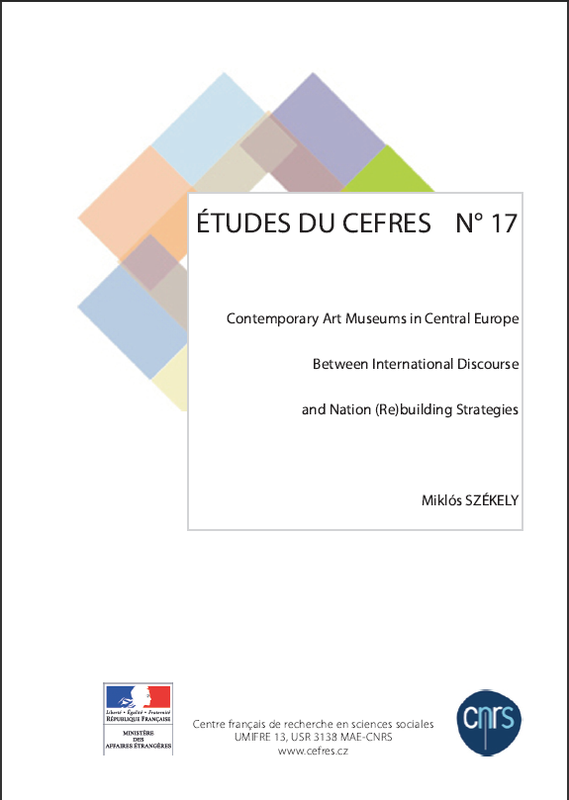 Miklós Syékely, Etudes du CEFRES, 2014, 37 p.
The paper investigates the collection-building strategies in the contemporary art museums of Central Europe. As its methodology, the study takes into consideration the collection-building principles and the way they are related to other activities of the institutions. It focuses on the role of the collection as an ensemble of musealized objects. The paper also intends to raise questions on how such institutions contribute, through their collections, to the participation of the given country in international discourse on contemporaneity. As a consequence of this collection-based observation conception, contemporary art centers and museums without collections are excluded from the observations. The observation focuses on the factors of national and international narratives intersecting each other in the process of modern and contemporary art museum based national cultural policies. Miklós Székely PhD works as a research fellow at the Institute of Art History, Research Centre for the Humanities, Hungarian Academy of Sciences, and as lecturer in the field of museum studies at the Pázmány Péter Catholic University, Faculty of Humanities. His fields of scholarly interest are nineteenth-century Hungarian art, the history of universal exhibitions, museum studies, contemporary museum architecture, cultural politics. He held a Postdoctoral Fellowship at CEFRES for the summer term (February 1st – July 31st, 2013).